William Arnott arrived in Australia from Scotland in 1848. Having apprenticed as baker quickly got a job with his brother at a Maitland bakery. William left in 1851, to work the goldfields. 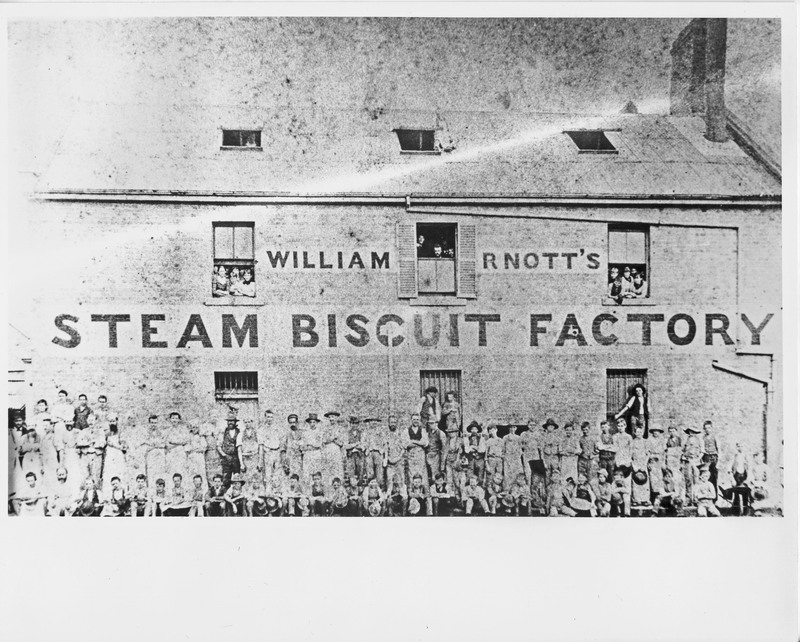 In 1853 he returned to Maitland to start his own bakery after failing as a gold miner. He was successful as a baker until affected by a succession of floods in 1856, 1857 and 1861. Having gotten into debt from the flood damage, he moved to Newcastle in 1865. 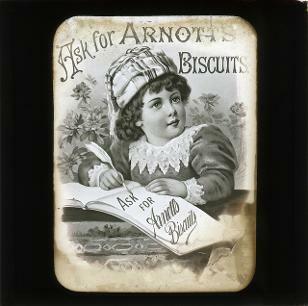 In the next few years, he became known for his biscuits, and by 1882 he was sending them to Sydney. By the time he retired 1899, he employed over 800 people in his Newcastle and Sydney factories. His company soon became a well-known, home-grown Australian brand. Phyllis Mander-Jones, 'Arnott, William (1827–1901)', Australian Dictionary of Biography, National Centre of Biography, Australian National University,n.d.<http://adb.anu.edu.au/biography/arnott-william-2903/text4169> 3 July 2013. Arnott’s Biscuits Ad [1870-1940]. From the E Braggett Collection, University of Newcatle, Cultural Collections. 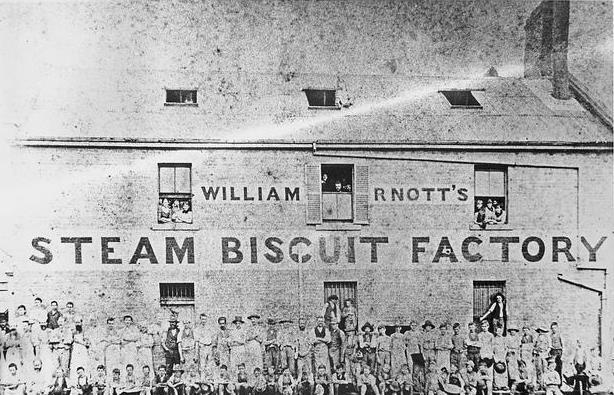 William Arnotts Steam Biscuit Factory, Newcastle, NSW, . J&A Brown.